Distribution in the wild is reputedly restricted to the islands of Isabela and Santa Cruz in the Galapagos archipelago. Cultivation is generally considered difficult as the areas the species comes from receives very litle rainfall but plentiful mists. It is likely that the plants trap water on their markedly pubescent leaves and stems and rely on this rather than ground water accessed by their roots. 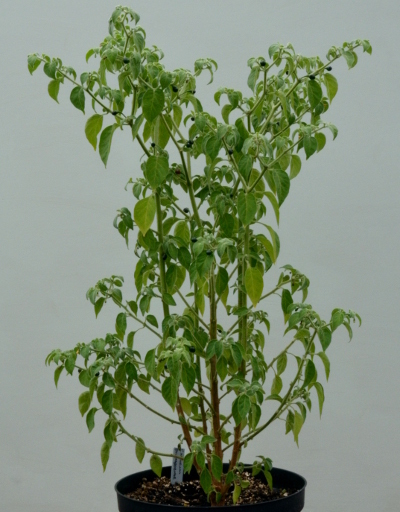 Capsicum galapagoense is related to C. annuum and C. chacoense. 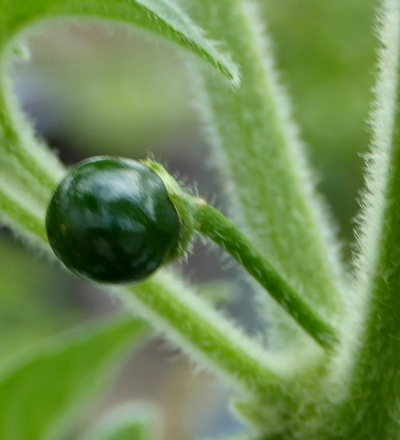 Seed of C. galapagoense rather slow to germinate at 16 days, but not as slow as some of the other wild chilli species. 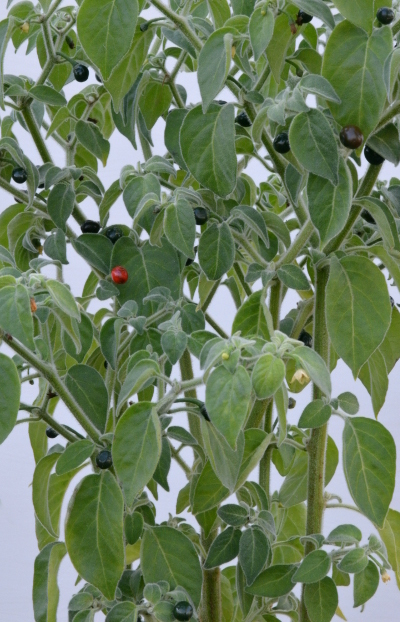 The slender plants are strongly pubescent and bear tiny white flowers followed by dark green chillies ripening to red. Contrary to reports elsewhere on the internet, the foliage of this accession was not fragrant and flowers were produced relatively freely. Clearly there are different strains in cultivation, which is encouraging for the future. Capsicum galapagoense is too obscure to have any history of culinary use. 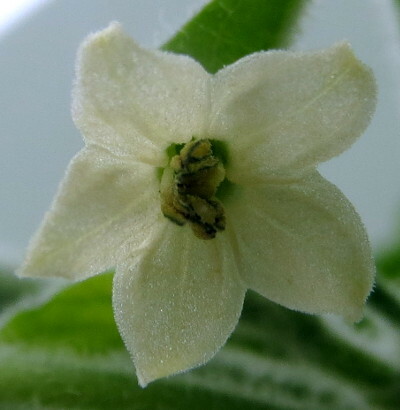 The tiny chillies contain two relatively large seeds and not much else. The ripe chillies are not as hot as expected and have a sour taste; the initial burn at the back of the mouth fades fairly quickly leaving a gentle tingle on the lips.